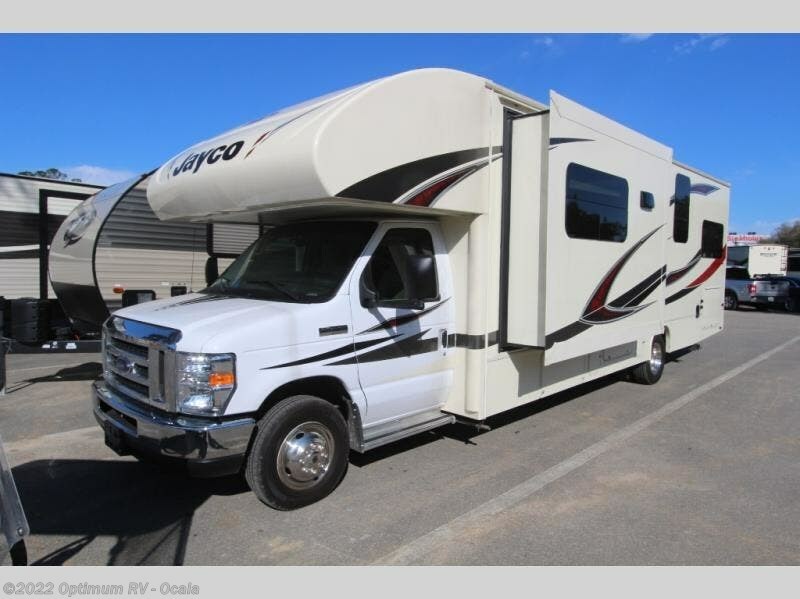 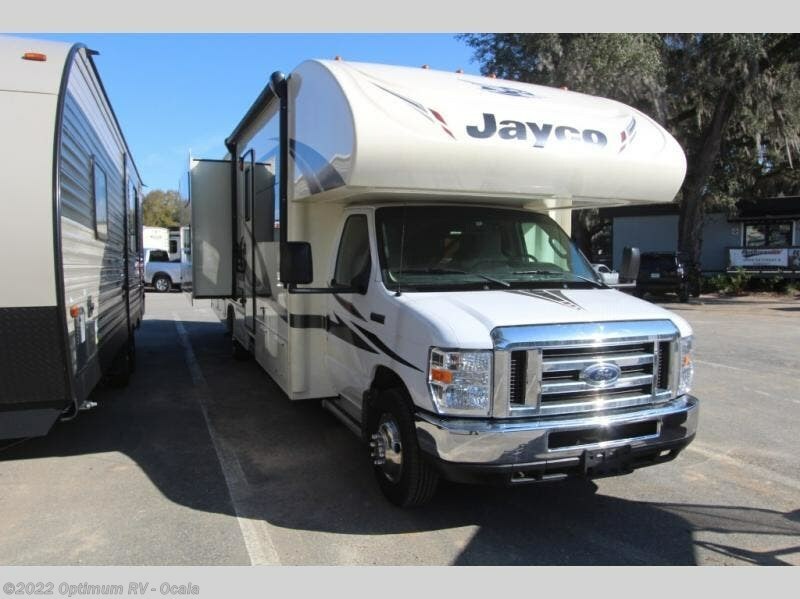 A set of bunk beds, double slide outs, and a front cab bunk are some of the features that you will love about the 31XL Redhawk class C motor home by Jayco. 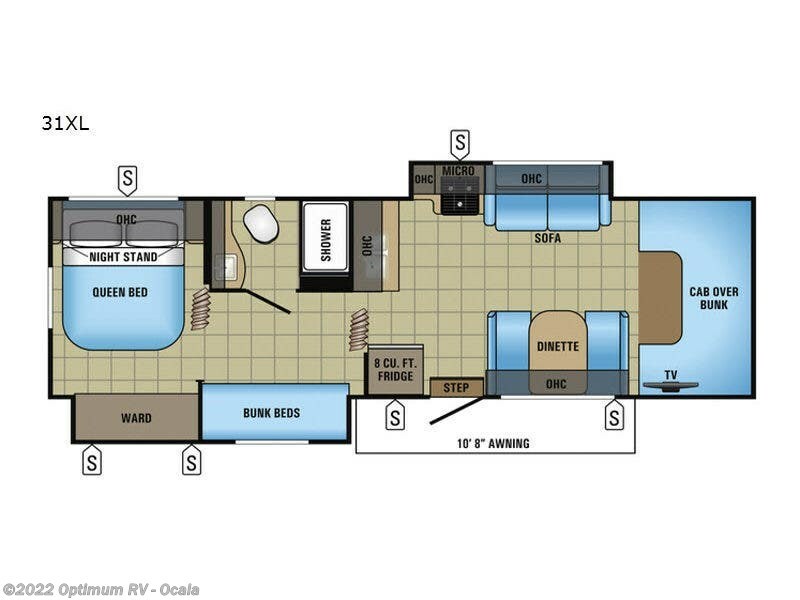 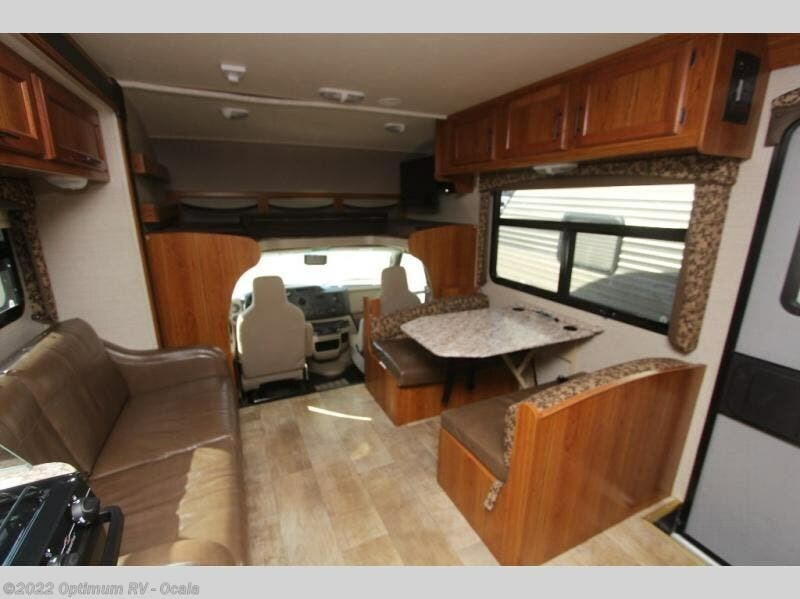 As you enter the motor home, to the right you can enjoy your meals around the dinette, the opposite side has a slide out with a sofa, microwave, three burner range, and overhead cabinet. 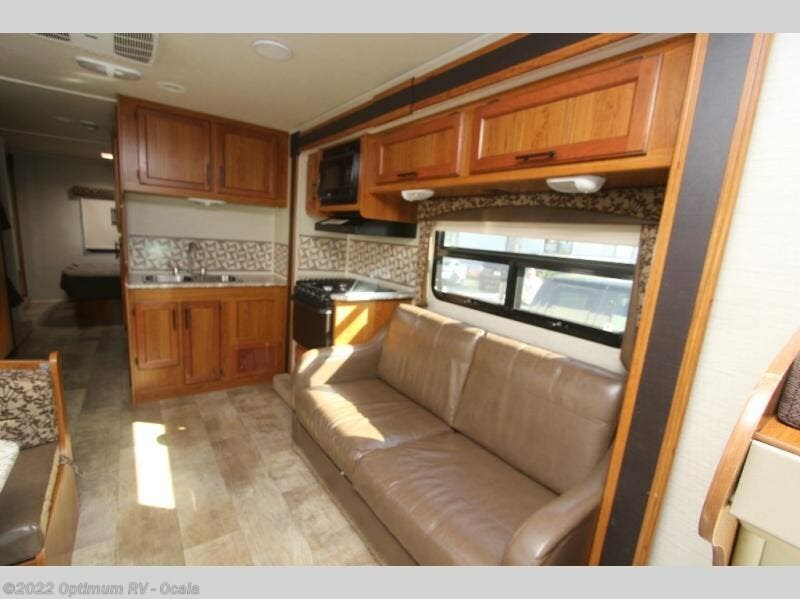 You will also find adequate counter space and a double kitchen sink. 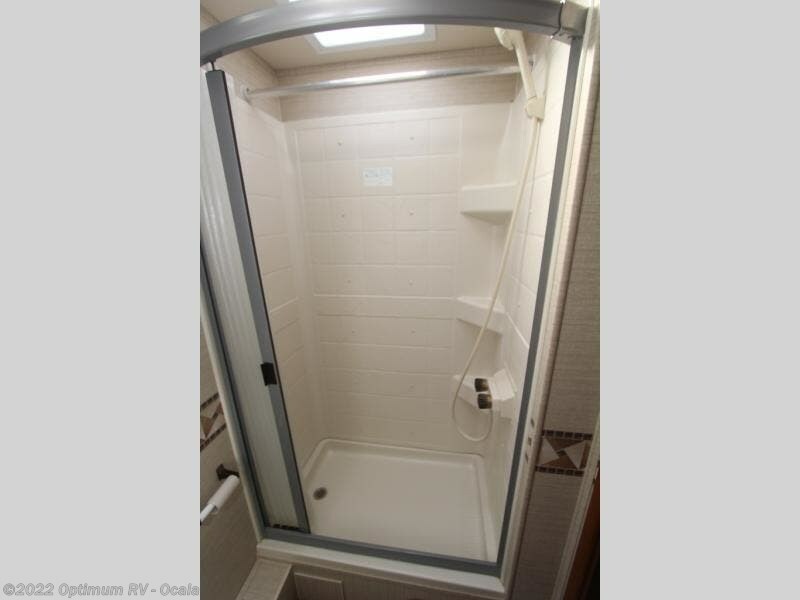 To the left of the entry door there is an 8 cu. 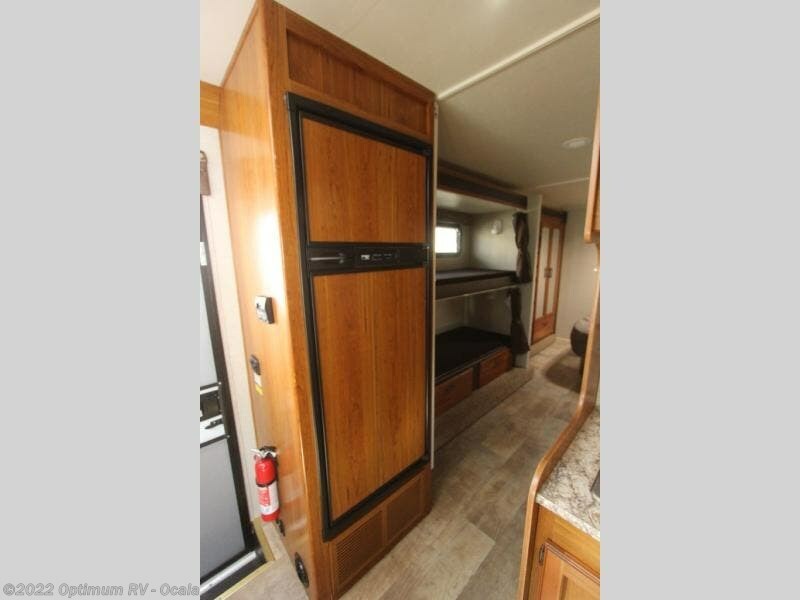 ft. refrigerator. 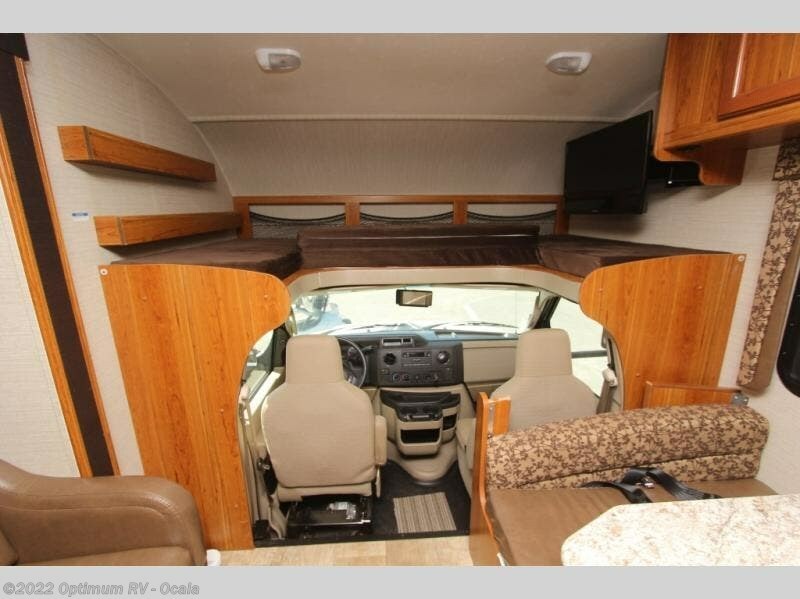 Above the cab you will find a bunk as well as a TV for your enjoyment. 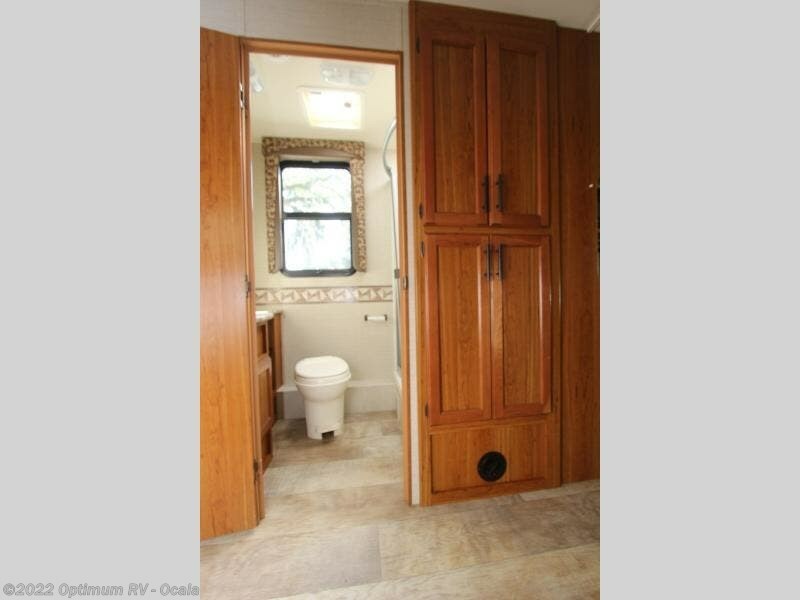 The bathroom has a shower, toilet, and sink. 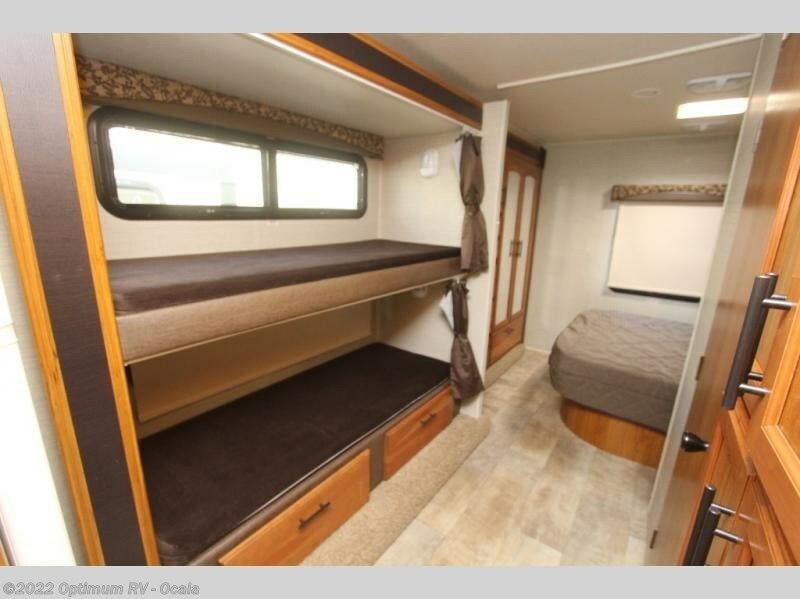 Across from the bathroom there is a slide out with a set of bunk beds which your kids will love! 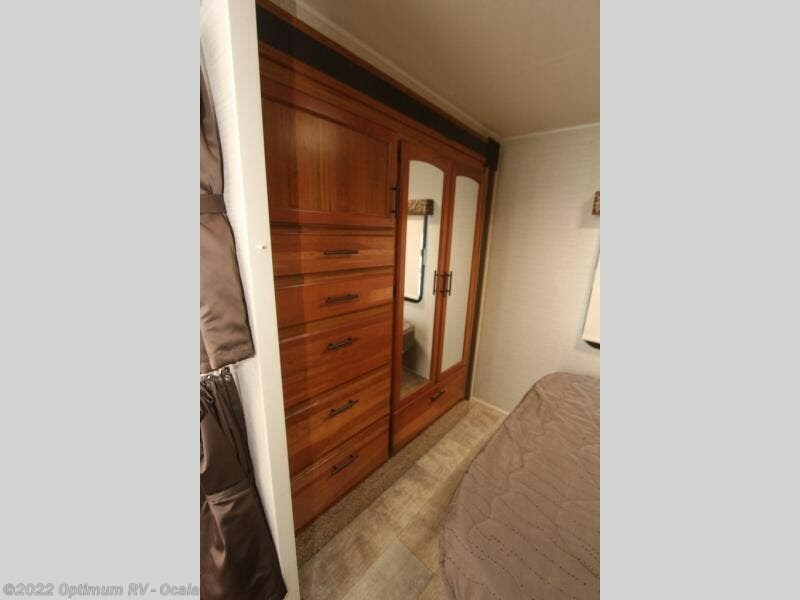 Continuing along the slide and into the bedroom you will find a wardrobe for your hang up clothes. 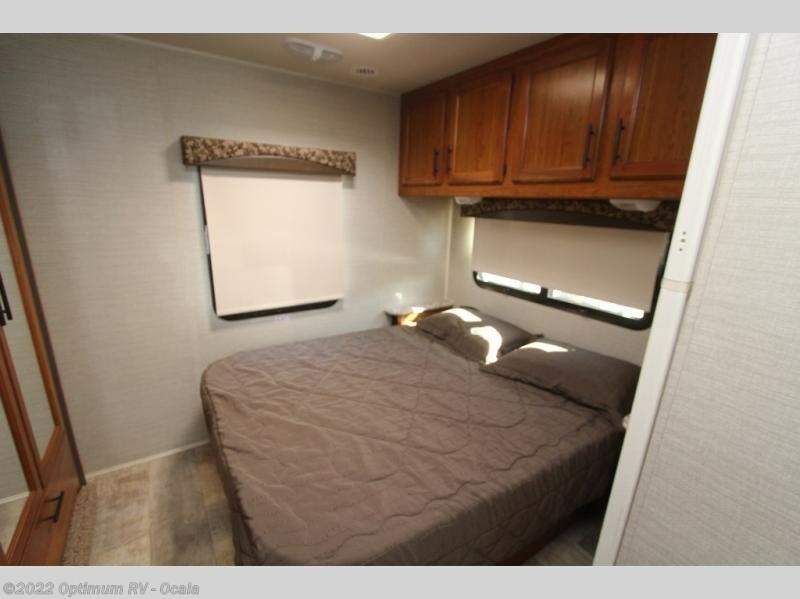 The bedroom also features a queen bed, nightstands, and an overhead cabinet. 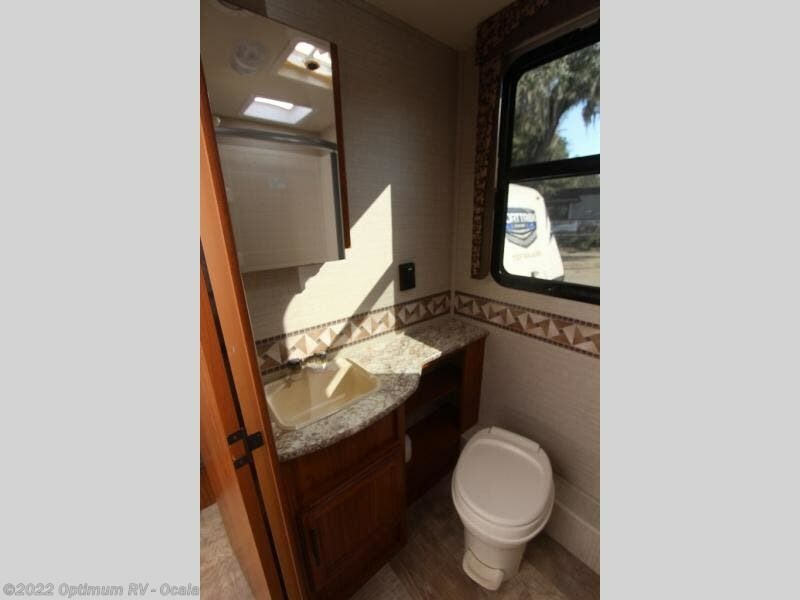 There are plenty of overhead cabinets throughout the motor home as well as exterior storage, and a 10' 8" awning, plus more! 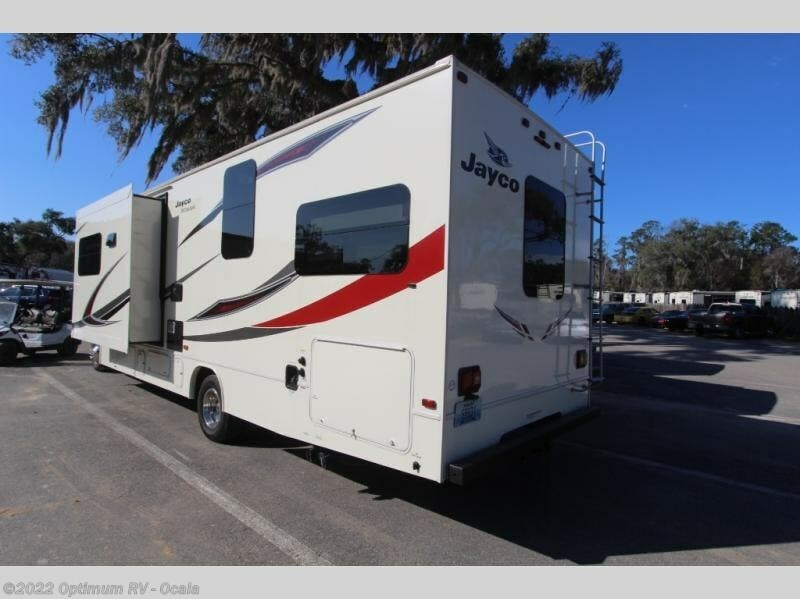 Check out Stock # 1SR523 - 2017 Jayco Redhawk 31XL on jaycorvsource.com!